Do you know how to prevent baby bottle cavities? Your one-and-a-half-year-old can’t tell you what’s wrong yet, but recently he has started crying during meals and pointing to his front teeth. He has trouble falling asleep and wakes up crying, touching his teeth. At first you think he must be teething again, but then you remember that his upper front teeth have been there for more than half a year. With a little effort, you lift up your child’s lip and see, to your amazement, brown and black discoloration and small chips on the sides of his front teeth. You thought that taking your baby to the dentist was something you could wait to do until he was four or five. 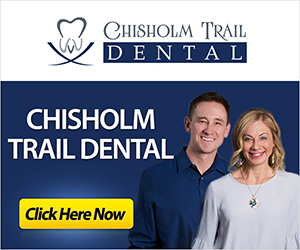 Now, out of desperation, you call your dentist to set up an appointment. This situation is more common than you might expect. 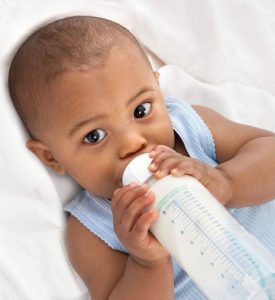 The main culprit for this condition, called “baby bottle cavities,” is the habit of putting a baby to sleep with a bottle containing milk, juice, or another sweetened beverage. Most often, it is the upper teeth that are involved in “baby bottle cavities” because the tongue usually protects the lower teeth during bottle-feeding. As a parent of small children myself, I can certainly understand the temptation of giving your crying child the bottle to get him or her to go to sleep. The problem is that milk or other carbohydrate-containing liquids stay on the teeth and allow bacteria that are normally present in the mouth to attack the teeth by forming “plaque acids.” These acids create holes in the teeth (cavities) and can lead to deeper infections of the tiny nerves within them. The susceptibility to cavities is also increased because the flow of protective saliva is greatly reduced during sleep (that is why it is so important to brush your teeth before bed). These infections can cause your child pain, and will require immediate treatment. The most effective way to deal with this potential problem is by recalling Benjamin Franklin’s adage, “An ounce of prevention is worth a pound of cure.” Prevention, in this case, involves not putting your child to bed with a bottle that contains milk or any other sweetened beverage. If your child must use a bottle, try using water or something unsweetened, otherwise use a pacifier to substitute for the bottle. You should also clean your baby’s teeth with a moist cloth (from 6-12 months) or a child-sized toothbrush with a tiny amount of toothpaste (from 1-4 years) before bed. Your dentist should evaluate teeth damaged from “baby bottle cavities” as soon as possible. In some cases, the cavities can be repaired with tooth-colored fillings or small, child-sized crowns (caps). Teeth that are badly infected may have to be extracted. It is also a good idea to have your child evaluated by a dentist at the time of his or her first birthday.